Pet Hydration Month - Is Your Pet Drinking Enough Water? 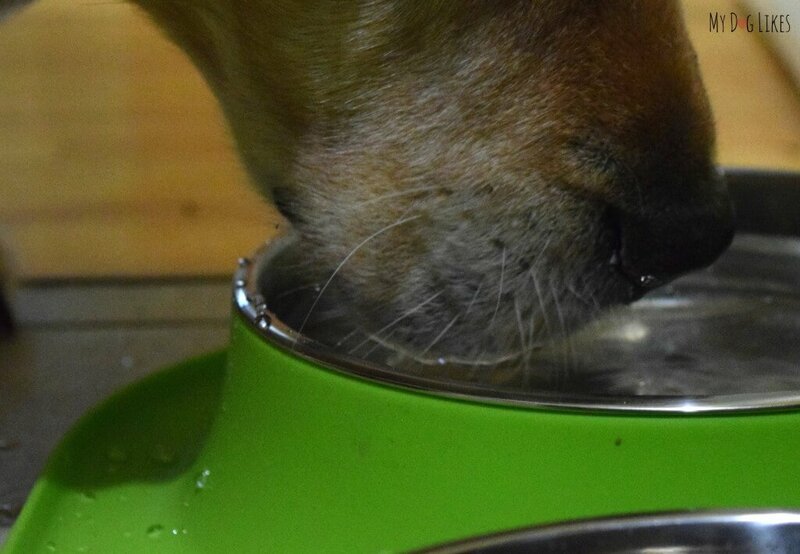 Pet Hydration Month – Is Your Pet Drinking Enough Water? Without a doubt this has been the hottest summer I can remember. In fact, the majority of the United States is experiencing higher than normal average temperatures. Extreme heat places our pets in serious danger of heat exhaustion, dehydration, and heat stroke. For that reason, we are teaming up with PetSafe for Pet Hydration Month to help raise awareness on the importance of hydration and how to make sure your pets are truly getting enough water. Just like us humans, the majority of our pets body weight consists of water. In fact, as opposed to our 60% water concentration, cats and dogs bodies are actually closer to 80%! 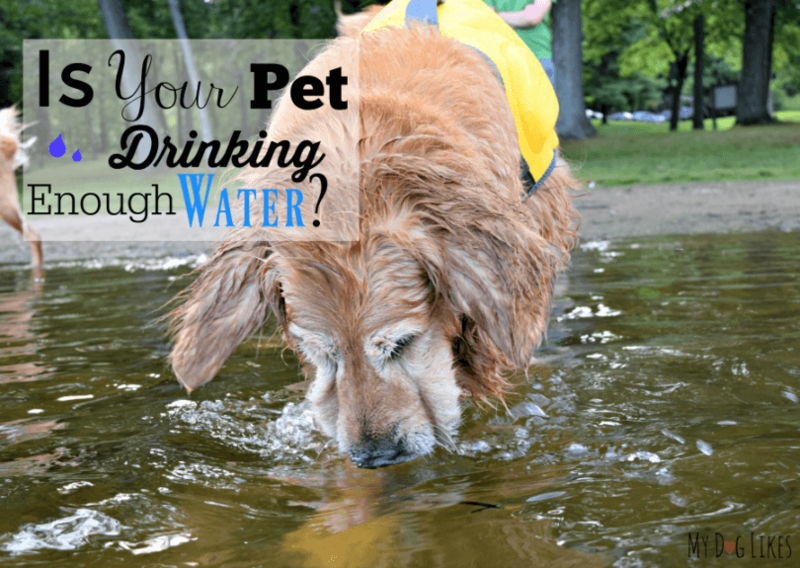 What role does water play in your pet’s health? Helps prevent urinary tract infections – Low water intake can lead to urinary tract infections and even the creation of urinary stones or crystals. Regulates temperature – Water cools the body and helps to maintain a steady body temperature. Improves recovery – Water helps to improve kidney function which in turn flush toxins from the body. To keep your pet properly hydrated they require 1 oz of water per 1lb of body weight! 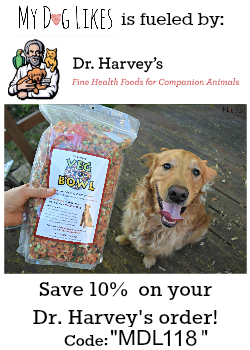 This was a surprising number for us to hear and after measuring our dogs bowls we realized that they do not currently get anywhere near that number! Like many pet parents we always assumed that they would get a drink when necessary, and simply filled the bowl up when it was getting low. We have always encouraged them to get a drink (especially on hot days) but we had no idea they may be so lacking in proper intake! 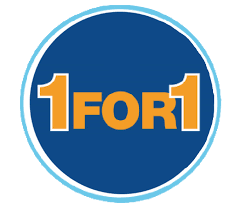 Add water to their food – Pet food (especially kibble) has a very low moisture content. This differs from the varied food diet that we eat as humans and makes water intake even more important. Mixing in water with their dry food, or giving them wet food on occasion, will go a long way in getting them the water they need. Add flavor to their water – Pouring some chicken or beef broth in your pet’s water bowl is an easy way to encourage them to drink more! Consider a Pet Water Fountain – Running water is a more natural way for pets to drink. This is because they are instinctively drawn to streams and rivers where water is flowing and safe. Pet fountains mimic this sight and sound and encourage them to quench their thirst. PetSafe manufactures a wide variety of pet water fountains with different size reservoirs, spouts and filtering options. Thanks to a PetSafe donation, we had the opportunity to test out several of these different models at the latest BlogPaws Conference. For those who don’t know, this years event was held during the month of June in Phoenix, AZ. With temperatures of 115°, keeping our pets hydrated was of the utmost importance. PetSafe had placed fountains all throughout the conference center and we tried as many as we could. Both Harley and Charlie took to them right away. We were especially excited because Charlie (who usually won’t drink from communal bowls) had no issues whatsoever using these fountains. I think the constantly filtered water eliminated any scents that may otherwise throw him off! As a thanks for helping to spread the word about Pet Hydration Month, PetSafe was kind enough to offer to send us the fountain of our choice. 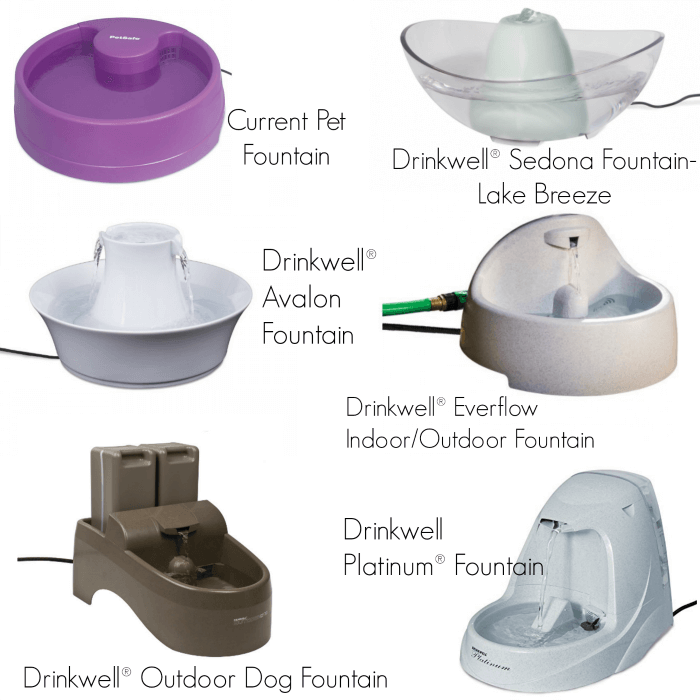 After trying a few different fountains at BlogPaws, we decided to get the PetSafe Drinkwell Everflow Indoor/Outdoor Fountain. We haven’t received it yet, but look forward to testing it out over the long term to see what the boys think (be sure to check back). When choosing a fountain there were several things that we were looking for. First, we wanted our fountain to be able to hold a lot of water. Between two big dogs, a kitty, and a smattering of foster kitties, a lot of water is consumed in our house! This one holds 1.5 gallons at a time! Second, we were looking for mess control! Our big boys are not very neat and tidy when they drink and its not at all uncommon to get a wet sock (yuk) when you walk past the water bowls! To help control the mess, we were looking for a fountain that had a deep basin to catch errant drops of water. The final piece…we wanted a fountain that had the option for the dogs and cat to drink from a bowl and also from a fountain. We are so excited to test this fountain out over the long term at our home and will be sharing our thoughts with you very soon! PetSafe has also created this great infographic for Pet Hydration Month! In order to convince my dog to drink more water (especially after activities like boating), I mix a 1/2 tsp of dehydrated food (like The Honest Kitchen) in a bowl of water to make “flavored” water. She will then drink it all immediately. Adding a couple ice cubes can also draw her attention to the water bowl. They drink a lot of water. I give them ice cubes to crunch on. Our dogs seem to drink enough water throughout the day. Bailie and I both love drinking water and drink plenty, both when it is so hot and in the winter when the air is so dry. Many forget about the importance of water in the winter months. We have water bowls around the house and a Pagoda fountain in the master bath for the kitties, but we doggies love to drink from it too. Water is so important. Mom has found, with bowls around the house, we all drink more because it is always nearby. I’m pretty sure that my dogs are drinking enough water. I make sure they have fresh water all day by refilling as much as possible. All I have to do to get them to drinking more is throw a few ice cubes in their water bowl and they can’t resist! I believe that my dogs get enough water. I have used ice cubes and flavoring before to get them interested. My dog definitely needs to be more hydrated. These tips were wonderful. Thank you! she def doesn’t drink a lot of water…i have tried putting blueberries in her water but she doesn’t care much. Yes, my dogs are getting enough water. My dogs only drink bottled water, and we keep tabs on exactly how many times we refill their bowls to keep tabs on their water intake. That is a good idea. We are going to make sure to keep our current bowls out when we get our new fountain so that they have more options throughout the house. my 2 younger girls have always been good drinkers. however, my oldest was never a good water drinker. i used to put chicken broth and some sardine water in with the water. she would drink the whole bowl then…but i would stop her from drinking too much…lots of peeing. she started drinking more when i got the 2 younger girls b/c they drink alot. dont know why, just happened. She drinks a lot of water. So it would be nice to have this for her. My dog drinks lots of water and likes to chew on ice cubes when it’s hot. My little guy drinks quite a bit of water, but I think he could consume more. 🙂 Thank you. I have three rescued Treeing Walker Coonhounds and I do my best to keep their water bowls filled. i do worry about how fresh the water is, and would love a fountain with filter to keep their water clean and fresh. I think my dogs do drink enough water. They have constant access to fresh water. I keep their water bowls in a central location so they don’t have to go too far from us to get a drink. They all seem to drink a lot. I have a cat and she does seem to drink enough water. I think they get enough but in the summer I put ice in their water and they love it! I think they are getting enough water. Sometimes, I’ll bring them to the water dish or put it in front of them in case they are thirsty but can’t be bothered to get up and go take a drink. They don’t always take a drink when I offer it to them so that’s a good sign that they are going to their bowl when they want refreshment. I believe my dog gets enough water. He is very picky and won’t drink water from the tap so I give him filtered water and sometimes use icecubes…he loves it. This explains why I’m constantly filling water bowls around here! Patches goes outside and drinks from the pond. I try to keep fresh water down all the time for my boy.He is a bit picky with his water,does not like for anything to get in it. Jazzy and Romeo would be some happy pups. I encourage my dog to drink more by adding a few kibble to a separate bowl with water that will get licked clean. I still leave the large drinking bowl of water and to this I add a few ice chips to make it more interesting. I think he does get enough water. Fortunately, he’s got a bit of a non-aggressive rivalry with the cats and if he sees them anywhere near his water bowl, he immediately rushes over to drink. we keep plenty of clean water available to them at all times, I add ice when it starts getting really hot and humid. Besides emptying the water bowls numerous times thru the day, my dogs also play in the hose and their wading pool. 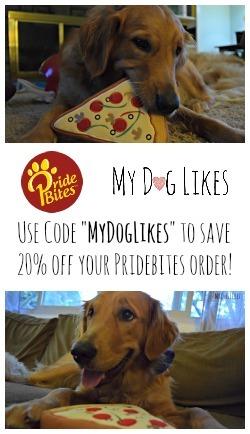 They get ice cubes to lick and some get water or broth on their kibble. I have Water dogs so we’re all aware of the need for and joy of water. I think they do . They are always drinking water. I hope they do. My dog gets plenty of water with no encouraging. I honestly don’t know if he’s getting enough, but probably not. ? No I do not think my dogs drink enough when it is this hot. But, I am going to try to implement some different ideas to get them to drink more. We refresh Sam’s water bowl during the day. He seems to drink more if it’s fresh (and cool) especially with the summer heat. ? We live in Florida so I worry alot about his drinking water. I take ice cubes outside when we are in the yard he likes licking them. My dogs get a lot of water. We have four water ‘stations’, 3 inside and one outside. A fountain would be pretty cool. It’s HOT here in SoCal. I think she does. I am always filling he water dish every night so i’m guessing she’s drinking enough. Mine fluctuates. He goes through periods where he doesn’t seem to drink at all. I try to help him out by always bringing some water and a bowl with us when we go for walks. we usually add about 1/2 tray of ice cubes. she loves her water ice cold in the summer! encourage the older one to do so. My dogs drink lots of water, but I do think they should be drinking more. I try to always keep a fresh bowl of cold water handy for them in the house and also in their pen when they’re playing outside. Our dog drinks a lot of water throughout the day. No, they don’t drink as much as I’d like. I do add water to their food to help. My Boston terrier gets enough water. He has a large teacup for a bowl and I rinse and fill it at least twice a day. I think it is good to have water for pets all the time. With it being so hot it is good that they get enough. Now that Jaxson is older and has more bladder control – I want to put a fountain in the upstairs bathroom. I too believe the more water that’s available – the healthier our pups can be. Our dog does, it’s the cats I worry about. I do give wet food to supplement. I have three water bowls, one in each room because we live in New Mexico and it is always hot. I always put fresh water in the bowls and that encourages them to drink more. I mix water in with my dog’s dry food in order to add more hydration. I have two westie. The younger one loves to drink water while the older one does not as much. To encourage him to drink more, actually the younger one encourages him. When one sees the other drinks, the other one then follows. =) So cute. 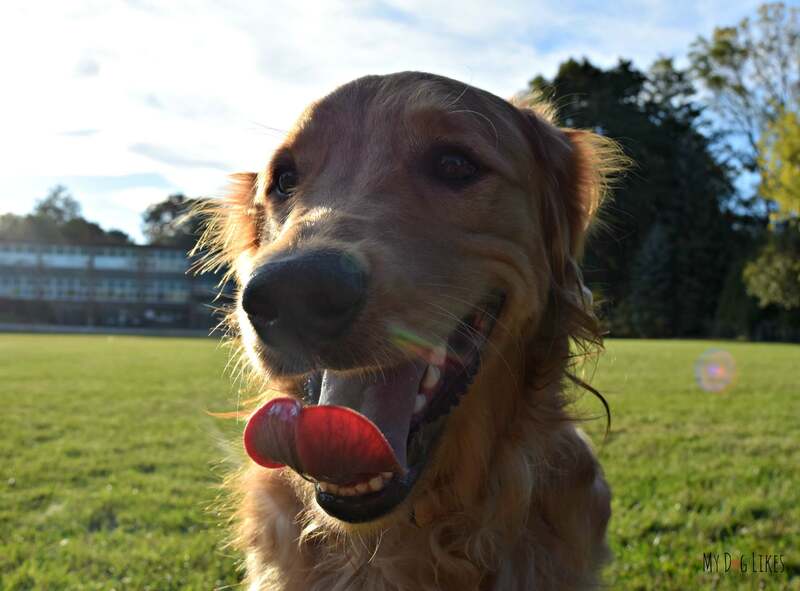 I would say that both of my dogs get plenty of water but it can certainly be a challenge for me during summer months when they are most thirsty. It seems I need to refill their water bowls several times a day! Our crew all seems to be really good about drinking water. But to be on the safe side, we still add some to their meals as well. We always know when Luke has gotten a drink, because he leaves a trail of water behind him – LOL. We had a fountain but it got broken when we moved, so I’d really like to get another one. I’m pretty sure she gets enough water. We are in the South, it’s very hot most of the year and I make sure water is always readily available to her. I always worry that the dogs are getting enough water so I encourage them to drink by changing their water frequently so it’s fresh and clean. I do sometimes worry that my dog is not drinking enough. I try to encourage him by putting water on my fingers and holding it up to his mouth as well as staying with him at his water bowl to give him verbal encouragement. I think mine are getting enough water each day. Inside the house I think they do because I keep the bowl filled but when we are outside, being so hot now, I know they don’t. I think my dog i getting enough water, I make sure I rinse her bowl and give her fresh water every day. My cat and dog drink out of the same bowl, they have had their own bowls in the past but always used the same one anyway, I think a fountain would be good if only for that reason. I think my pup does get enough water, but the great water fountain will help encourage him to drink more water. I hope my dgo is getting enough water. I just have a huge bowl I keep filled for him. Our dog seem to drink enough water throughout the day. Yes, I think my dog gets enough water. I do tend to worry about my girl getting enough water! I have several bowls out that i change daily and also will fill a few, clean 2 liter bottles of water in my fridge. My puppy always go for the bowl I have outside by my front door, i will fill that one twice a day with water from the fridge. I think my Minnee drinks enough water, although it’s hard to tell because the cat loves to drink from her water bowl! I check multiple times. I hope he is. I think my dogs are getting enough water, but I’m not sure. I think she gets enough water. She loves ice chips too. I did think so, but after seeing the graphic showing water needs, I’m not so sure. I try to always have fresh water available, but a fountain would be a great way to encourage drinking. Sounds just like us! We have always had plenty available, but after some calculation realized they definitely aren’t drinking as much as is ideal. We are working hard to encourage the drinking now and the fountain is definitely helping! Belle is now 13 and she doesn’t seem to drink as much water as she used to. I’d like for her to drink more to keep her hydrated and her kidneys healthy. Yes, we provide our dog plenty of fresh water throughout the day. I am not sure if he is getting enough water. We put ice is in bowl to encourage him because he loves ice. I think he’s doing all right with water. It’s been really hot lately, so I have made sure that there’s plenty available for him to get to. He doesn’t hesitate to drink it either. My dog loves drinking water so I dont have to encourage him to drink more if anything I have to monitor his intake. Vet said nothing was wrong with him the dog just loves his water lol. Sometimes I wonder if she does . But she does enjoy water with ice cubes in it. I have a bowl inside and outside as well as put ice cubes in their water bowls during the summer months. It s so important. Adding wet food helps too and we did that with Katie a lot. She never liked to drink much but with wet food in her dry kibble, and water bowls around the house making it convenient, she did drink a bit more. Mom gets really tired if she doesn t drink enough, but she is pretty good about hydrating. Hope you are feeling better. The bone broth really works as long as there is no added salt :). We also opted to feed our dogs a fresh diet which also helps keep our dogs hydrated as the food itself is full of moisture.